Now, hashtags help us organize the internet, launch social movements and, of course, market our destination. However, the world of hashtags can be overwhelming and cluttered, especially when trying to use them to find content about your destination. Stackla can find every single photo that includes a specific hashtag in the caption. Think about what hashtags are often associated with your destination and make a list. You may already know this! However, if you want to find out what alternate hashtags people are using when uploading photos of your destination, go to Instagram on desktop and type in # + Your Destination’s Name. Instagram will show you the most popular hashtags along with the amount of photos they’ve been used in. Creating a search term within Stackla is easy. In three clicks, you can have the tool finding every single photo posted that uses a specific hashtag. 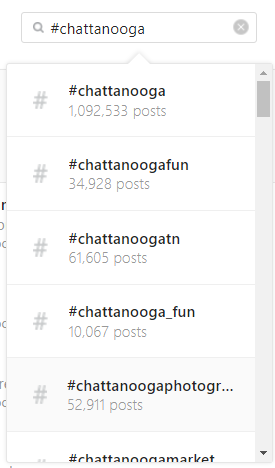 Place the hashtags you want to aggregate into separate search terms you’ll never have to search for them again. The hashtagged content will come right into your Stackla platform. 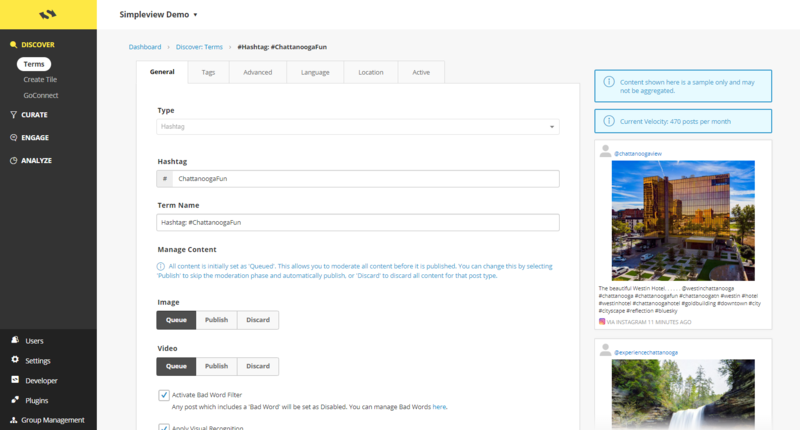 If you want to group all of your content found via hashtag searches, you can easily combine the UGC into one place within Stackla’s content section. You can sort content via the individual hashtag you searched, by a combination of multiple hashtags you searched, or by all of the photos using all of the hashtags you searched. To see all of the photos using hashtags simply create a tag and add it when creating each hashtag search term. That’s it! Set it and forget it with hashtag searches. 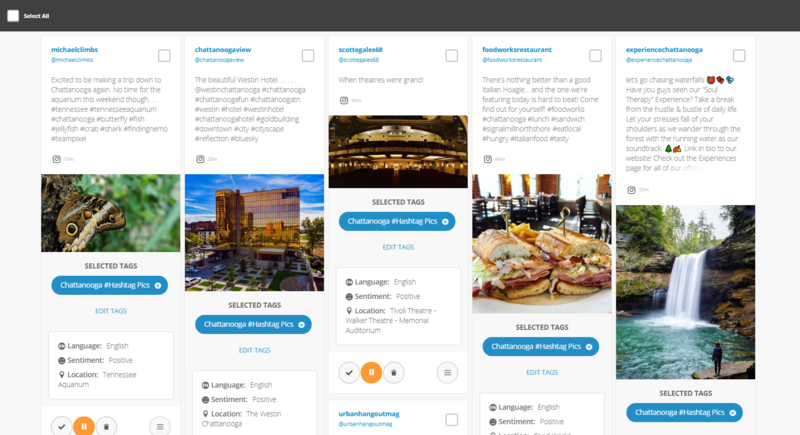 What we just outlined is just the tip of the iceberg when it comes to hashtag search capabilities in Stackla. In our next blog, we will discuss more hashtag tactics including how to see photos using a common hashtag that is uploaded specifically in your destination. Yes, it’s possible to find all the beautiful photos using your state’s official tourism hashtag that are ONLY uploaded from your destination. We’ll show you how in our next blog! Meanwhile, are you interested in a demo of Stackla’s hashtag search capabilities? 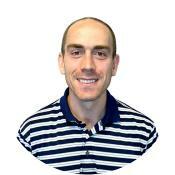 Contact your Simpleview account manager to arrange a session with one of Simpleview’s social media specialists.